Rachel Shuman is the director of the film One October, a time capsule of New York in 2008, "when gentrification is rapidly displacing the working and middle classes, Wall Street is plummeting, and Senator Obama is making his first presidential bid." Along the way, radio host Clay Pigeon talks with everyday New Yorkers to "poignantly reveal urbanist Jane Jacobs’s idea of the 'ballet of the good city sidewalk.'" One October will be screening on November 8, complete with a live score and discussion with the director, at the Rubin Museum. Buy tickets here. JM: You ended up with a film in which many people speak about the changes of the city, about gentrification and "mallification." Did you know you would get that? Was that the intention or an accident of sorts? RS: The film was inspired by Chris Marker’s film "Le Joli Mai," which is portrait of his native Paris in the month of May 1962, a moment when France had just signed its peace treaty with Algeria after 8 years of war and while a big push for urban renewal was spreading around Paris. In the film Marker notes how the streets of his beloved city were changing, "In ten years, these images will look stranger to us than today do the images of Paris in 1900." 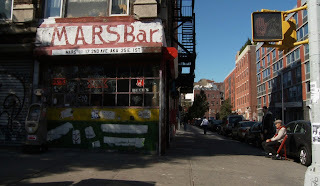 In the mid 2000's I felt like we were in a similar moment; we'd been at war in Iraq for several years and I began noticing the sweeping urban renewal that was happening in NYC, particularly in the East Village and Lower East side so I decided that I wanted to make a film like "Le Joli Mai" about my city to create a kind of time capsule of what was happening, in part to be able to remember of how the city looked at that moment in time. A defining moment for me was standing on the corner of University Place at about 12th street late one night and noticing that all four corners were aglow in the harsh neon light of various bank façades. It was very eerie, and metaphorically I felt like a war was happening and that the enemy had managed to capture all four street corners and we were doomed…. So yes, when I set out to make the film I was very interested in finding out what people were thinking about the changes in city in that moment. And certainly by the time we were filming in October 2008, the changes had started to register and people expressed their feelings about it. Clay Pigeon interviews Stacie who is worried that the changes in Harlem will push her out of the neighborhood. 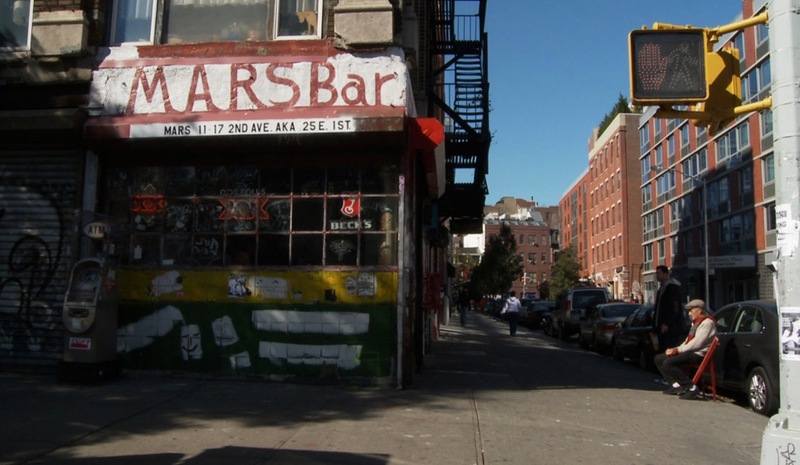 RS: It seems that this pace of hyper-gentrification, as you call it, has just become more accelerated. Whole blocks have been completely taken over by outsized luxury condos and mega-chain franchises. In thinking about this interview, I decided to take a walk through some of the neighborhoods that we filmed to see specifically what had come of some of our locations. 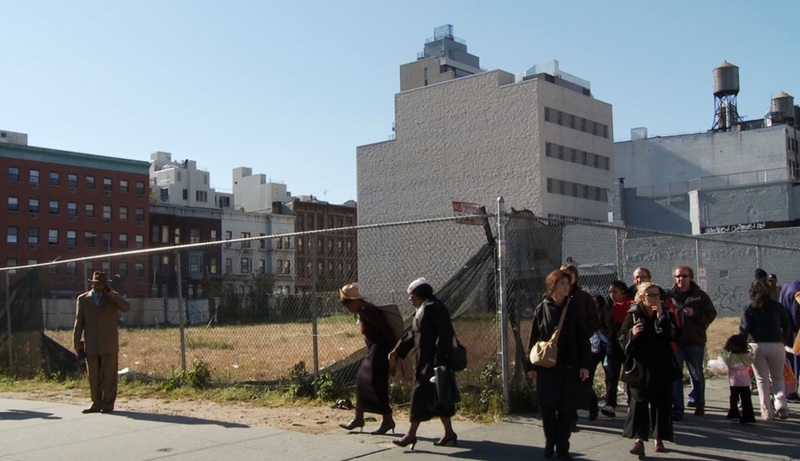 The most shocking change is a vacant lot that Stacie, a worried mother in Harlem, mentions in the film. 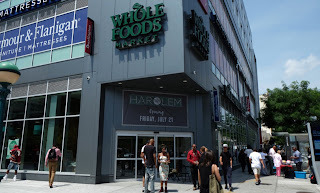 She predicts that in six months to a year it will become a Marshalls or a Gap and says, “In five years I won’t even be living here no more.” Indeed she understood what was happening cause that spot is now home to the new Whole Foods in Harlem and Marshalls is across the street. Of course as you know many other spots are gone too, the Mars Bar is now a TD Bank. The banks are absolutely everywhere! Corporate sponsorship seems to dominate every event. The vacant lot where Stacie is standing in Harlem in October 2008. JM: What made Clay Pigeon right for this project? RS: In the Marker film, the interviewer is not a character and is almost never seen, but I knew that I wanted to cast the role of interviewer in the film and one night a friend of mine who used to have a radio show on WFMU suggested I listen to Clay’s "Dusty Show" and within the first few minutes of hearing his show I just knew he was the person I was looking for. 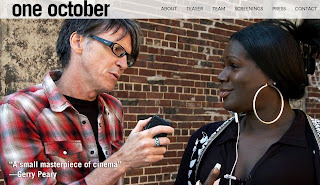 Since an inherent part of Clay’s radio show is his interviews with strangers on the street, I chose to follow him as he was doing his normal rounds and some of the interviews that are in the film were also broadcast on WFMU as part of his show. I did talk to Clay about the themes in my film, but we have a lot of overlap in that regard so it was a natural fit for him to incorporate some of my questions into his conversations. Clay is from Iowa and he talks about how being from a small town really informed his approach to interviewing. He says that growing up he was always stopping to chat with people on the street and I think it fostered his genuine curiosity about people. He’s not afraid to ask difficult questions. Some may call them probing or invasive, but that’s not what motivates him. He connects on a human level and he has a lot of compassion for people and their stories. The other appealing thing was that though Clay had been doing his show for ten years (mostly outside of NYC) he had only moved to the city a year before we began filming and he was still kind of in awe of the place. I loved seeing the city through his fresh eyes cause part of my mission was not only to show the changes that were happening, but also to film the things I loved about the city as a way of preserving them. 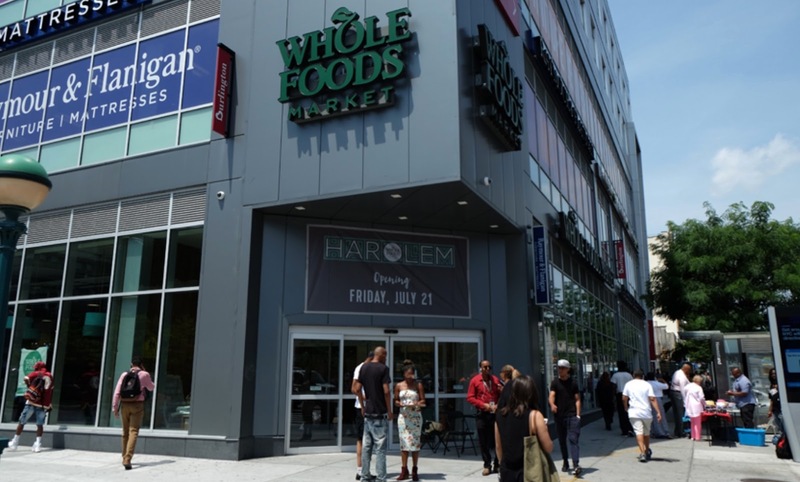 That corner lot is now home to the new Whole Foods in Harlem. JM: There is a sense of hope in the film -- that Wall Street's corruption will be defeated, that New York will be saved -- so where are we now? RS: In all honesty, things seem much worse now. 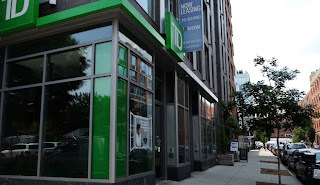 As your readers know well, hyper-gentrification and corporatization have taken over most corners of the city. And politically…well, I can’t even touch that. Even though the film does rest on some optimism about Obama, there is a lot of tension there and I feel like the film actually foreshadows a bit of where we are now. But I do think we need to take the long view. 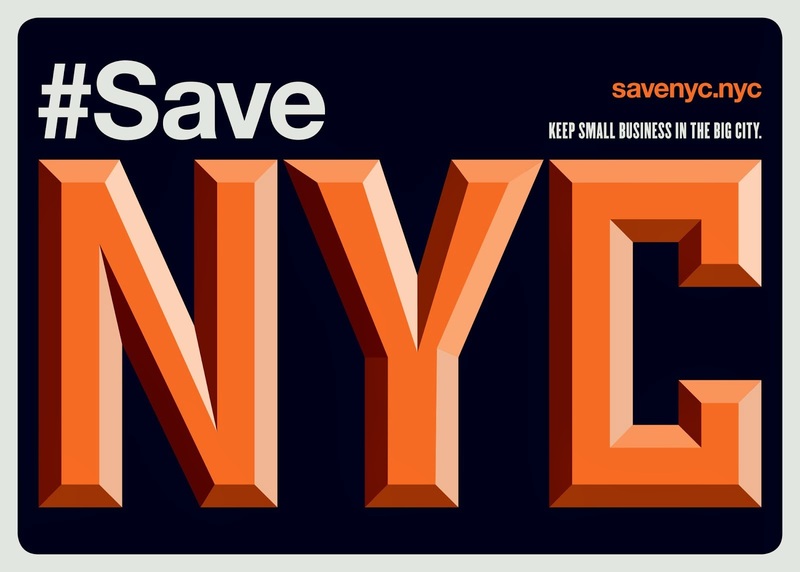 At the beginning of my film I have a quote from "Harper’s Monthly," from 1856, that says, “New York is never the same city for more than a dozen years altogether.” So change is the nature of this beast, but I do agree that this wave of change is unlike any other the city has seen. It’s not the Jews replacing the Italians replacing the Irish; it’s of an entirely different order. As citizens, we will have to work hard to shift the direction it’s going. But I do like to think of Roberto in the film who in his 83-year-old wisdom says that every 100 years or so everything comes back around and repeats itself. It reminds me that this particular phase of the cycle won’t be where we are forever. And as Clay says in the film, for those just arriving, "these are the good old days." This is what I mean when I mention the solipsism of the New Yorker: she only began to notice the changes of gentrification in the mid-2000s and says that "no one was discussing it?" All due respect, but what had she been doing for the prior 30 years? There were many of us discussing this in 1980, and it was already an old topic then.